Vermont Academy students, alumni and faculty annually view NCAA March Madness with a strong gusto of Wildcat pride, and 2019 will be no different. 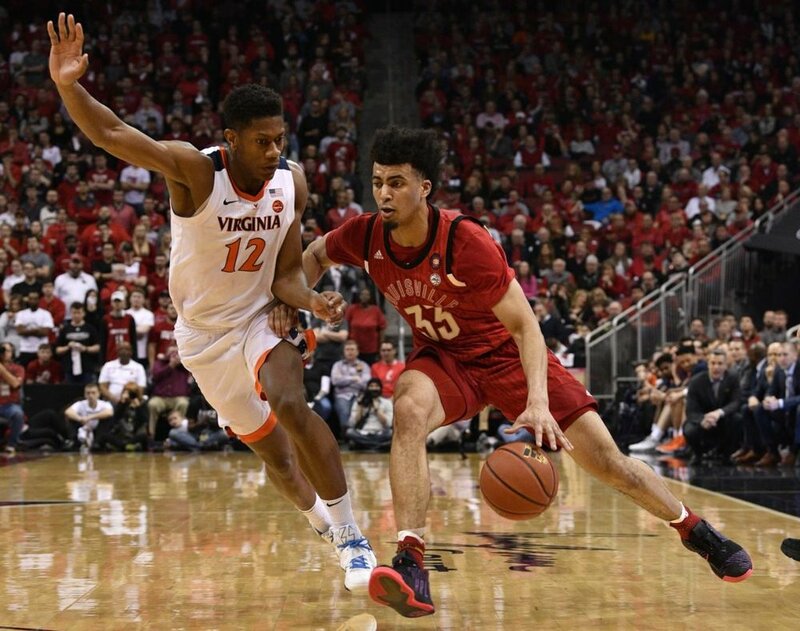 Vermont Academy’s Bailey Patella ’17, Jordan Nwora ’17, and Marcus Santos-Silva ’17 will all participate in the 2019 Men’s Basketball Division I Championship representing the University of Vermont, Louisville University and Virginia Commonwealth University (VCU), respectively. Bailey Patella ‘17 and the University of Vermont (27-6 overall) earned the number 13 seed in the West bracket after winning the America East conference tournament. Bailey’s Catamounts will take on the fourth seeded Florida State Seminoles (27-7 overall) in Hartford, CT. Tune in: Thursday, March 21st at 2:00 pm on TBS. 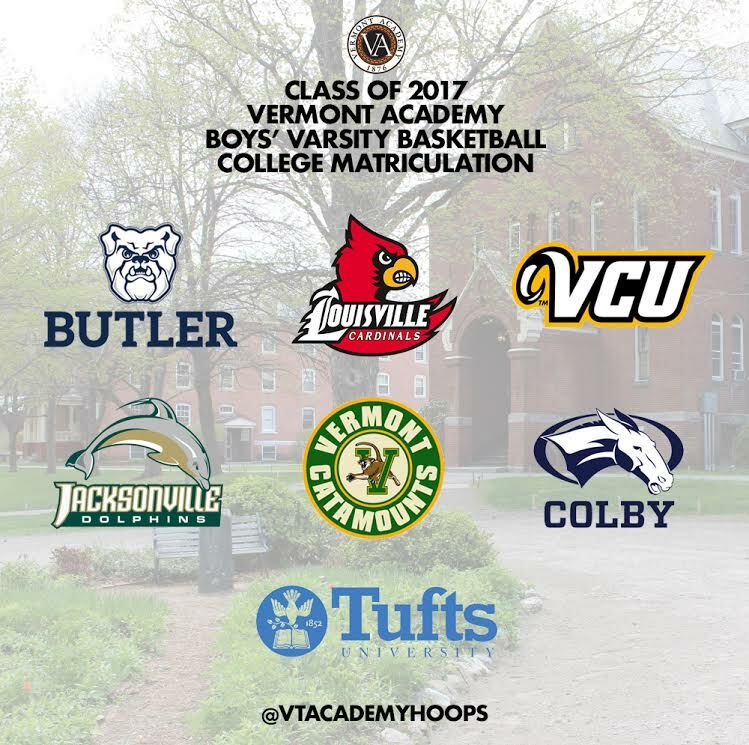 For alumni updates and athletic happenings, follow @VtAcademyHoops on Instagram and Twitter! The accelerated growth at prep school is always amazing to witness, but this process occurs at an even quicker rate when the student-athlete has a positive relationship with feedback. After one week of workouts and meetings, I can tell that our basketball team has the unselfishness and maturity to reach their potential. In our first team meeting we discussed what it means to be successful, and how we choose to be judged. The boys were anticipating advice about basketball, and they received conversation about life. Our young people today get brainwashed to believe that masculinity is based on athletic ability, economic worth, and sexual conquest. The message to our team was that all that stuff is overrated and masculinity ought to be defined in terms of relationships. When it's all said and done, should you want to be judged by what type of teammate you were? What type of son you were? What type of brother you were? That's what it is all about. Now, our players are 15-18 years old, so we wanted to provide depth. Therefore, we had the Vermont Academy student-athletes share stories of accepting responsibility and leading courageously. Then, our coaching staff gave examples of enacting justice on behalf of others and the concept of empathy. I wish we had filmed the session, because I could see our kids digesting the dialogue and it made me extremely proud to be their coach. Why they're here at Vermont Academy. What they plan to accomplish in the short term and in the long run. What obstacles they might have to overcome along the way. It was a tremendous exercise to practice because most of our kids opened up, and you could sense that trust was being built in a rapid fashion. We finished the meeting by telling them that basketball is no different than life, and relationships will ultimately dictate where we go in basketball and in life. Now it's time to choose how we want to be judged, and our actions will always speak the loudest. Tyrique Jones '16 in the Big Dance! Go VA! Samuel Japhet-Mathias '15 in the Big Dance!